Mpumalanga is a wonderfully scenic escape for South African newlyweds opting for a local honeymoon or international visitors embarking on a romantic African safari. 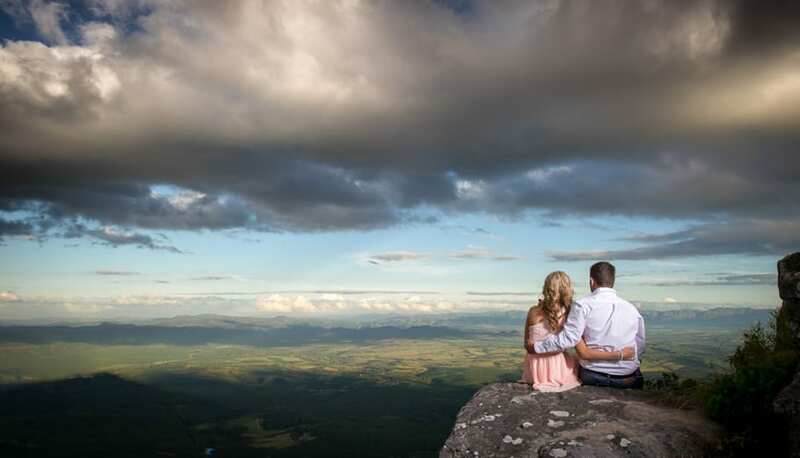 The Lowveld is a place to relax and revitalise after the stress of wedding planning, where couples can marvel at breathtaking views, dine under the stars and explore Kruger National Park or the Panorama Route. Keep reading for the best romantic getaways Mpumalanga has to offer. For couples and honeymooners visiting Hippo Hollow Country Estate, we’d recommend the River Chalets or Garden Chalets for your choice of accommodation. Overlooking the tranquil Sabie River, the 18 River Chalets are ideal for couples. 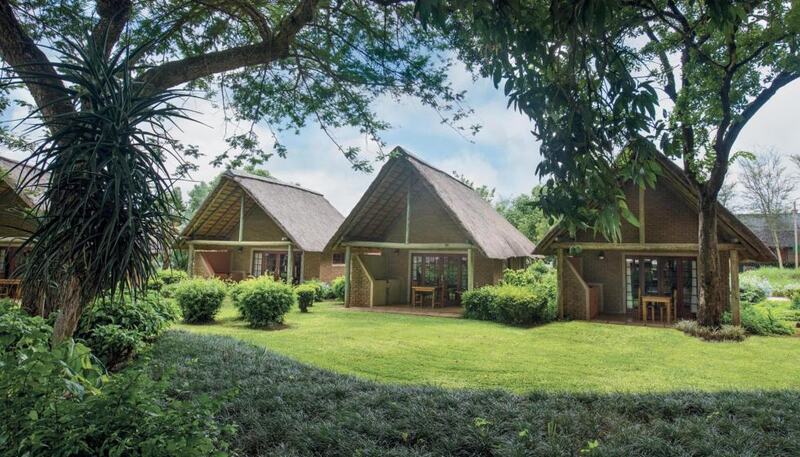 Each boasts a main bedroom as well as a loft room, an en-suite bathroom and a deck overlooking the river where hippo and elephants can sometimes be seen. The 19 Garden Chalets sleep two guests. Amenities include air-conditiongin, en-suite bathrooms with double showers, satellite television, WiFi and private verandahs overlooking the gardens or pools. Hippo Hollow Restaurant occupies centre stage when it comes to romantic dining options on the estate. The restaurant has a relaxed, sophisticated atmosphere and the choice of indoor or alfresco dining options. On warm summer evenings you can book a candlelit table for two and listen to the sounds of the river and hippos nearby. Another romantic dining option is our exclusive al fresco Bridge Dinner overlooking the magnificent Sabie River under a star studded sky. Whilst indulging in delicious cuisine take in the beautiful sights and sounds of the surrounding bush. View kingfishers and water birds or grazing hippo on the lawn against the backdrop of a beautiful African sunset. The menu can be seen below. The Shangaan River Club offers a more cultural dining experience where honeymooners can dine on a banquet of Shangaan and South African-inspired dishes. Here you will discover a cultural experience like no other on offer in the restaurants in Hazyview Mpumalanga, combining traditional storytelling and entertainment with a Shangaan feast. 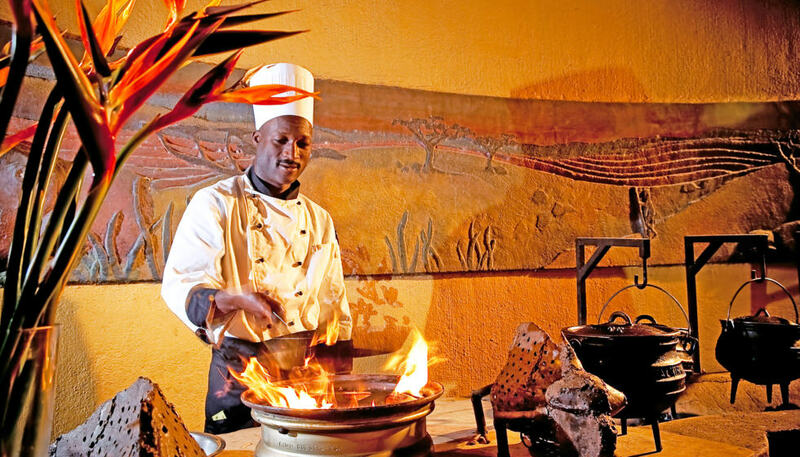 Shangaan River Club is one of the finest traditional restaurants in Hazyview Mpumalanga. For more information about any of the above activities, please don’t hesitate to contact our friendly reservations team at Hippo Hollow by calling +27 (0) 13 737 7752 / +27 (0) 72 752 0952 or emailing reservations@hippohollow.co.za. We look forward to helping you plan your romantic getaways Mpumalanga.